Kali Katerberg/Daily Mining Gazette Old Salt Union performs at the 2018 Porcupine Mountains Music Festival. 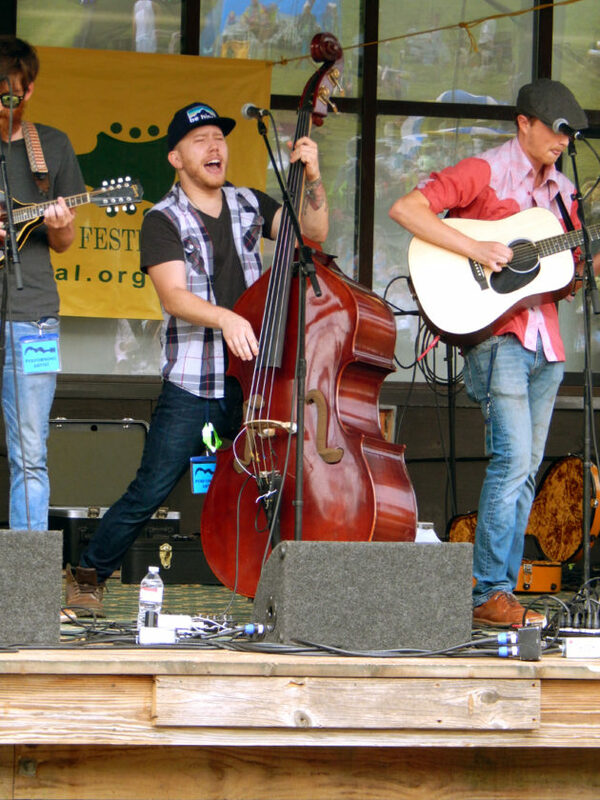 ONTONAGON — The 14th annual Porcupine Mountain Music Festival held this weekend was once again a hit with locals and travelers alike. Pursuing favorite bands, a beautiful venue and good music, only occasional uncooperative weather dampened the excitement. Carol and Ken Starner from Big Rapids, Michigan, made the several-hour drive to attend the festival on their 38th anniversary. The couple is planning on making next year’s festival if they see more bands they’re interested in seeing. 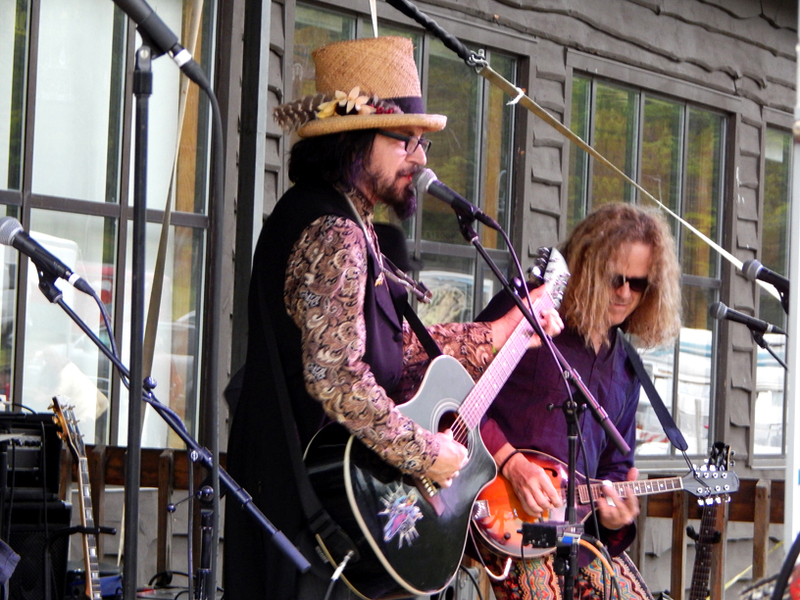 Kali Katerberg/Daily Mining Gazette Right: The Slambovian Circus of Dreams wraps up the 14th annual Porcupine Mountain music festival. “Donna the Buffalo drew us here this year, because we’ve seen them before, but we really loved Friday night — Fred Eaglesmith and Tif (Ginn). They were amazing,” Starner said. The laid-back atmosphere and friendly people were major highlights of their stay. Other first-time attendees were Tina and Brad Kimball from Eagle River, Wisconsin. Frequent Porkies visitors, they made the trip to this year’s festival in part to see Kind Country. Some festival-goers sat and watched the performances, while others danced near the stage like Kimberly Flowers. “I love music, I love moving to it,” she said. 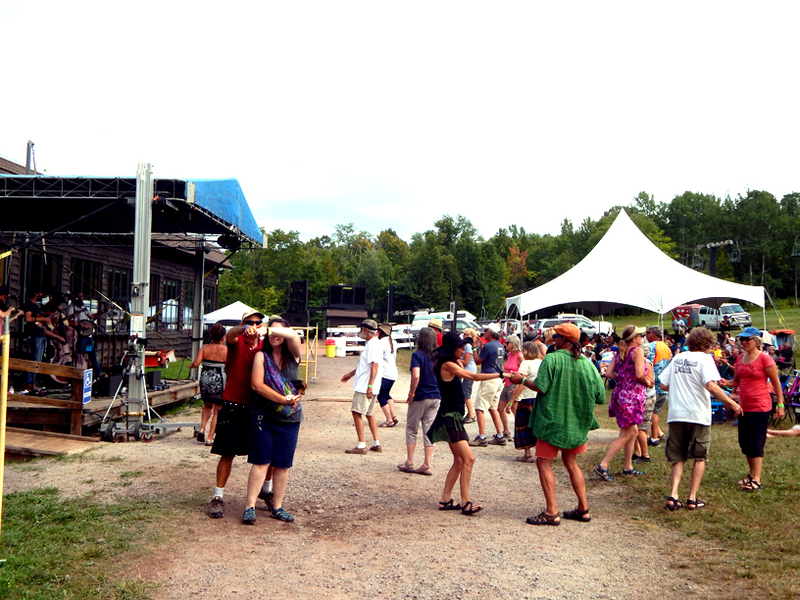 Kali Katerberg/Daily Mining Gazette Porcupine Mountain Music Festival-goers dance along with music at the main stage Sunday. A frequent festival-goer across the state, Flowers said she enjoyed the mix of genres performed at the Porkies and plans to return. The festival is possible thanks to volunteers, with 130 serving this year’s festival. Tammy Kero, Richard Judd and Marilyn Knutson were all return volunteers. Many of the attendees come each year, making the festival a reunion of sorts they plan to return as volunteers themselves. Total attendance this year was 1,500, nearing the 2016 record of 1,750 said festival director Cheryl Sundberg.